Beautiful dress by WTOO Watters. White sweetheart, strapless dress worn only to wedding ceremony and changed for reception. 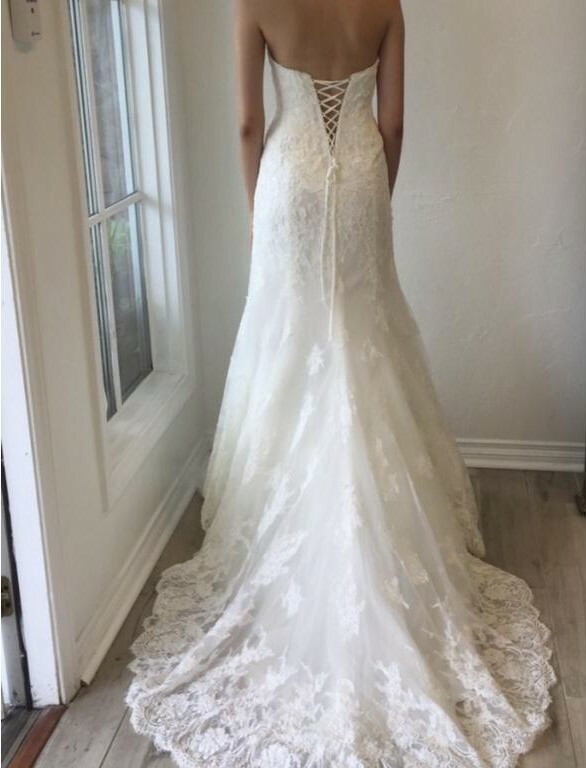 Dress was dry cleaned immediately and is in perfect condition. Dress is a size 2 and fits like a 2 but can accommodate a bigger size just by tying the corseted back a little looser. Brides measurements were bust 34, waist 26, the length was altered to fit height of 5'6 with flat sandals. Perfect condition. Altered to fit height of 5’6 with flat shoes.